Over the past number of years, the term personal injury has come to encompass a wide range of cases, including auto accidents, bicycle accidents, pedestrian accidents and cell phone accidents. 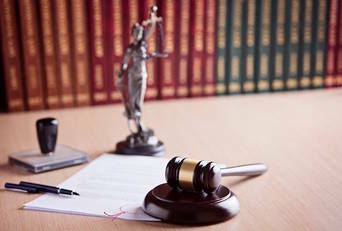 In most of these cases, the accident is the result of a negligent action on behalf of one of the parties involved. The accidental death of a family member has financial and emotional implications. Many survivors have no one to turn to after the unexpected death of a loved one. If the fatality was an accident resulting from the negligence of another person, then I can speak to some of the legal and financial issues. When a patient receives medical care from a doctor or other health care professional, he or she does not expect to suffer further illness or injury due to the actions of the caregiver. If the healthcare professional’s actions cause further injury or illness, you may be entitled to compensation. If you work with award winning lawyer Joseph Dooley, you can rest assured knowing that your case will receive the attention it deserves. Our law firm has successfully represented clients in a variety of personal injury cases. Our honest and aggressive attorneys work on a contingency basis, so you don’t have to pay unless you win. 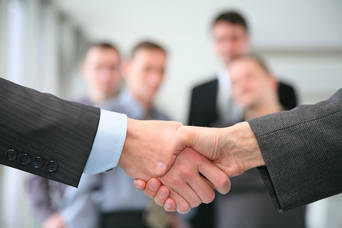 Our top lawyers take pride in the positive reviews left by satisfied clients. 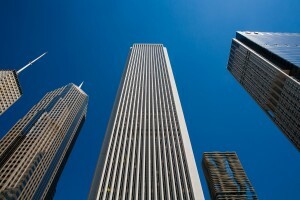 As one of the best law firms in Chicago, we have secured large settlements and verdicts on behalf of our clients. Personal injury law is a broad field of legal practice, encompassing auto and truck accidents, bicycle and pedestrian accidents, medical malpractice cases, and premises liability claims. In a personal injury case, a victim claims that his or her injuries and/or losses are the result of another person’s negligence or recklessness. The mere fact that an accident occurred and a victim was injured in that accident is insufficient to prevail in a personal injury case. The victim – that is, the plaintiff – must prove that the defendant caused the injury or injuries through his or her own negligence. Additionally, the defendant must prove the extent of his or her injuries so that a fair compensation amount can be determined. If an injury is catastrophic or results in permanent disability, victims need an attorney who will work aggressively to secure the maximum compensation on your behalf. Compensation for medical treatment: After an accident, you must seek medical treatment immediately. Even if you don’t feel injured or don’t have obvious visual injuries such as burn injuries, it’s wise for you to be examined by a physician. A post-accident exam protects you both medically and legally. Some internal injuries are not immediately apparent, and they can be difficult to detect without sophisticated medical scans and diagnostic testing. Even a seemingly minor injury can ultimately develop into a serious medical condition. By seeing a doctor after an accident, you can also establish medical records that will be required if you later opt to file a personal injury claim. Under Illinois law, victims who are injured by another person’s negligence are entitled to complete reimbursement for all of their injury-related treatment expenses for as long as treatment, therapy or rehabilitation is required. If you’re uncertain about whether your case involved an act of negligence or recklessness, it’s wise to consult a Chicago attorney who can review the details of your case relative to the local laws. Compensation for lost income: If you are injured and are forced to take time off from work, your lost income can be reimbursed when you successfully file a personal injury claim. Some injuries, however – especially traumatic brain injuries and spinal cord injuries – lead to permanent incapacitation. 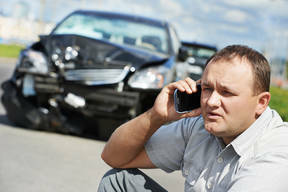 If this occurs, Chicago personal injury attorney Joseph M. Dooley can help you calculate your losses. He will fight aggressively on your behalf to obtain full compensation for the loss of potential future earnings. Compensation for property damage: Injuries aren’t the only losses that can arise from an accident or mishap. Property damage can occur as well. So if your vehicle, home or another piece of property was damaged by another person’s negligence and recklessness, then you may be entitled to compensation that will cover the cost of repairs or replacement. This is another topic that should be discussed with a personal injury lawyer. Chicago drivers can find that their world has been turned upside down in an instant. One moment you’re heading to work and the next, there’s a tremendous impact that leaves you injured and your vehicle destroyed. An experienced Chicago car accident lawyer like Joseph M. Dooley will work hard to learn about the exact circumstances of your collision. In addition to taking photographs and videos of the scene of the accident, speaking with witnesses and reviewing official reports, your attorney may opt to have the collision re-created using digital technology. This can serve as a powerful visual aid in the courtroom. If you’ve been involved in an accident in Chicago, injury attorney Joseph M. Dooley will not only research the actual collision, even if it is an aviation accident. He will also work to fully understand your losses, including your physical injuries, medical bills, property damage, lost wages and beyond. Another critical part of the equation is how your injuries will impact you in the future, socially, physically and economically. These are all essential elements of your case because if you go to trial, your lawyer must provide the judge and jury with an accurate understanding of how the other driver’s negligent or reckless actions, including texting and driving, have impacted your life. 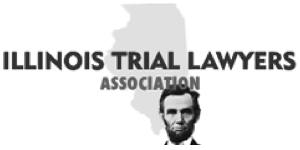 Clients should also understand that Illinois personal injury cases are impacted by so-called “comparative fault” rules. This means that a person’s degree of liability is translated into a percentage. So a victim that is found to be at 10% at fault in an accident, any damage awards would likely be reduced by 10% to account for their fault in the incident. Therefore, it’s crucial that you hire an attorney who can present evidence that serves to minimize your fault in the accident. When hiring a car accident attorney, Chicago clients should ask about the lawyer’s experience dealing with auto accident cases. Some personal injury lawyers have an area of specialty (i.e. car accidents, pedestrian accidents or workplace injuries), so you should feel comfortable that the lawyer you’re considering has sufficient experience dealing with your specific case type. After your consultation is complete, you should have a better idea of the fees involved if your case is resolved in a favorable manner. If you’re ready to discuss your case in a free consultation, contact the Chicago law offices of Attorney Joseph M. Dooley by calling (312) 236-7282. Truck accidents can result in significant property damage and some very serious, life-altering injuries or even death. This occurs due to what is often a significant size differential between the truck and a smaller vehicle, such as a car, motorcycle or even a bicycle. The severity of the victim’s injuries and the extensive property damage that’s common in truck accidents can raise the stakes significantly. Matters can be further complicated by the fact that most large trucks are owned and operated by a business. Going up against a company is different from going up against an individual in your personal injury case. Large companies may have a powerful team of seasoned litigators working to guard their interests. 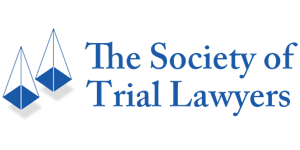 This can pose a greater challenge to the victim and it really underscores the importance of trusting your case to one of the most experienced Chicago personal injury lawyers. If a recent truck accident led to the fatality of a loved one, then you may need the services of a Chicago wrongful death lawyer like Attorney Joseph M. Dooley. Handling a wrongful death case is a bit different from a personal injury case and there is often a lot more money at stake since you must consider factors such as the individual’s future earning potential. If you need help following a truck accident, please contact Attorney Joseph M. Dooley to discuss your case in a free and confidential consultation session. Call (312) 236-7282 or fill out the form on this website. Joseph M. Dooley handles many wrongful death lawsuits, which can be some of the most emotional and challenging cases for the client. There are few things more devastating than losing a loved one in an accident or mishap, especially if that accident was the result of another person’s negligence or recklessness. While many think of auto accidents when they think of wrongful death, it’s important to understand that wrongful death cases can involve many different circumstances. A wrongful death can occur in the home, at your workplace, at the home of a friend or family member or simply while you’re out and about, living life to the fullest. Typically, Illinois requires the wrongful death lawsuit to be filed by a personal representative for the decedent’s estate. This may include a spouse, an adult child of the decedent or the parent of one of the decedent’s minor children. Compensation can include damages for grief and suffering, lost wages and any other damages that have been found to arise as a result of the individual’s sudden passing. If you’ve lost a loved one due to someone’s negligence, Chicago wrongful death lawyer Joseph M. Dooley can help you get the compensation you deserve. No jury award or settlement can ever bring back your loved one, but those funds can help cover expenses arising as a result of your family member’s passing. Discuss your case in a free case consultation session by calling (312) 236-7282. Chicago, Illinois is home to some of the nation’s top physicians and hospitals, but even with the best doctors, nurses and the latest technology, occasional accidents, errors, mishaps and even a failure to diagnose can occur. This may result in serious, long-lasting effects on the victim. Medical malpractice cases are extremely complex, as they require extensive knowledge of both law and medicine. The process of filing this type of claim is also more involved, as a verified medical expert must consult on the case to verify its legitimacy from a medical perspective. For this reason, it’s essential that you turn to an experienced medical malpractice attorney. Similar to product liability cases, Chicago area malpractice victims can seek out compensation for economic losses, such as medical bills, and non-economic losses, such as pain and suffering. Punitive damages (i.e. damages that are handed down not as compensation, but as a punishment) are not awarded in Illinois medical malpractice cases. Notably, the Illinois Supreme Court issued a 2010 ruling, declaring that damage caps were unconstitutional in medical malpractice cases. So there is no limit to how much an individual can receive by way of compensation in this type of case. 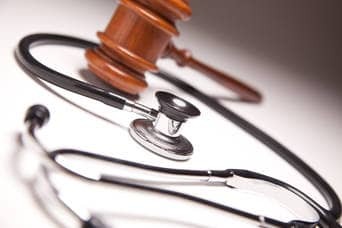 Like wrongful death and personal injury cases, there is a statute of limitations governing medical malpractice lawsuits. Illinois has a two-year limit for filing a claim in most cases. The two-year timeframe begins on the date when the medical malpractice is discovered or on the date when “through the use of reasonable diligence, [the patient] should have known” about the injury. There are some cases, such as situations involving minors under the age of 18, including birth injuries, where the statute of limitations may be significantly longer. But even so, it’s wise to take action as soon as possible, as this will maximize your chances of seeing a positive outcome. If you’re in search of a top Chicago medical malpractice lawyer, contact Attorney Joseph M. Dooley to discuss your case in a free, confidential case evaluation. Call (312) 236-7282. Chicago personal injury lawyer Joseph M. Dooley can assist with trials and with negotiation for out-of-court settlements. In many cases involving personal injury, medical malpractice or wrongful death, the defendant will attempt to settle the matter as quickly as possible in order to avoid the time and expense associated with taking the case to trial. However, it’s important to remember that settlement offers are often substantially less than the true worth of your claim. Negotiations are therefore essential, but it’s vital that you never enter into settlement negotiations without help from an experienced personal injury or wrongful death attorney. Chicago injury lawyer Joseph M. Dooley is an experienced negotiator who will work hard on your behalf, ensuring that you receive compensation for the full value of your claim. If an out-of-court settlement cannot be reached, Joseph M. Dooley will take your case to the courtroom, fighting for a favorable verdict and a fair jury award. He is an experienced litigation attorney who has a history of helping his clients receive the verdicts they desire. Chicago-based attorney Joseph M. Dooley would like to share the following message with his prospective clients. “My name is Joseph M. Dooley, and I am a Chicago personal injury lawyer with over two decades of experience representing the victims of injuries caused by negligence and recklessness. When you work with me, you work with an experienced personal injury lawyer who will fight tirelessly and diligently to ensure that you receive every cent of the compensation that you are legally entitled to receive. Since each case is different, it is impossible to provide an accurate idea of how much compensation to expect without knowing the details of your case. This is one of the things we’ll discuss if you opt to hire me as your Chicago injury attorney. When researching personal injury attorneys in the state, Chicago area accident victims can trust their case to personal injury Attorney Joseph M. Dooley, who works with all types of cases. 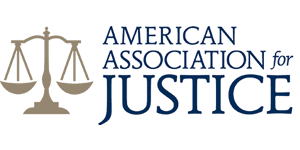 In addition to serving accident victims, he also works with those who have fallen victim to nursing home malpractice or abuse, medical malpractice and clients who have lost a loved one in a wrongful death case. Joseph M. Dooley can also assist clients in slip and fall and defective product cases. Are you worried about having to pay an upfront fee? Like many injury and wrongful death lawyers, Chicago-based Attorney Joseph M. Dooley works on a contingency basis meaning that you do not need to pay any fees until your case is resolved with a settlement or a favorable verdict and jury award. But you cannot delay action because the law does limit the amount of time you have to file a legal claim. Seek representation from Joseph M. Dooley, an attorney with a record of success, if you or a loved one has suffered an injury in Cook County. While you are on the road to recovery, Joseph M. Dooley will use all available resources to negotiate with insurance companies, defend your rights, and hold the at-fault parties accountable. He will not give up until he has recovered the compensation you deserve for your injuries. To obtain a free consultation on your case from our injury law firm, contact Chicago personal injury attorney Joseph M. Dooley today by calling (312) 236-7282.